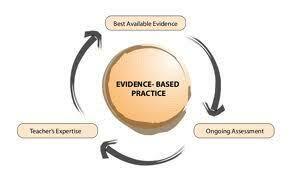 What is Evidence-Based Care? Is your provider providing you with Evidence-Based Care? Rebekka Dekker , creator of Evidence-Based Birth Blog, put together a simple handout with SIX ESSENTIALS to receive Evidence-Based Care. I have uploaded the PDF for you to grab on the MOMS AT OM Facebook Group . There is no way to predict outcomes at any birth. As a doula, I am committed to providing my clients with the most current, non-biased information, to help them make oh-so-many important decisions around their pregnancy and birth. Spend some time really getting to know your provider. Ask personal questions in order to gain their perspective around birth outcomes. Maybe you'll confirm that you two are on the same page, but if you are not, it's never too late to change providers. 🙂 Let me know if you need referrals. We had 12 sweet mamas come out for the POSTNATAL AT OM BODYSHOP last Saturday! Woohoo!!! We all left feeling AHHMAZINGLY Tuned Up!!! Please look out for LEVEL 2 coming soon and SAVE THE DATE for Valentine's Day PARTNERS AT OM PLAYSHOP! Join me this weekend for dynamic pregnancy yoga classes (postpartum always welcome 🙂 with lots of boddhakonasana aka bound angle pose aka butterfly pose. Geeta Iyengar calls this the "mother of all pregnancy yoga poses" and suggests to practice it daily throughout pregnancy in preparation for birth. My toddler Jai 3 is pictured above in it. 🙂 We catch him in this pose and malasana (squatting pose) many many times a day!